HUNTINGTON — Cabell County Republican Chairwoman T-Anne See recently was unanimously elected by her peers to be chairwoman of the WV GOP Chairs. "I have worked well with T-Anne over the years as the Cabell County chair, and she is one of the hardest working chairs I know," state Republican Chairwoman Melody Potter said. "She is a person of integrity, and we look forward to working with her as the chair of the WV GOP Chairs." 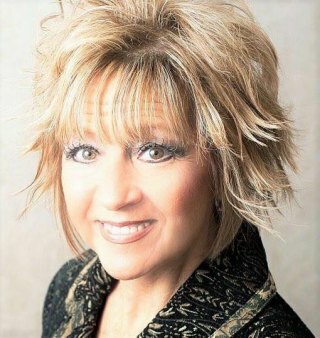 See, elected to the post on July 14, is known in the community as the Cabell County coordinator for the National Day of Prayer and also serves as the founder and organizer of "Operation: Thank You," which celebrates area first responders for their dedication and pays tribute to them on Sept. 11. In 2016, she received a Legislative Citation for her community work, which has included organizing two city-wide 9/11 memorial services, and helping veterans. "T-Anne See has stood tall and strong fighting for our rights, liberties and freedoms. Her leadership in the Republican Party both in Cabell County and on a state-wide basis has been much appreciated by me and so many others," said U.S. Rep. Evan Jenkins, R-W.Va.
See was re-elected as Cabell County chairwoman at the Cabell County Republican Executive Committee Organizational Meeting in June. The committee has 20 seats and 10 districts. Additional officers elected for this term are Alvin Bowyer and Mary Durstein, vice chairmen; Kenneth Reffeitt, secretary; and Sherry McClanahan, treasurer.